Alejandro González Iñárritu is interviewed by María Elena de las Carreras at the Linwood Dunn Theater in Hollywood on August 30, 2017. It is a co-production with the Getty Foundation’s Pacific Standard Time: LA/LA initiative and is part of the project From Latin America to Hollywood: Latino Film Culture in Los Angeles 1967-2017. Throughout the interview Iñárritu shares his most life-changing and life-affirming experiences, including his first romantic encounters, sailing across the Atlantic on a cargo ship, his days as a radio host, the years he spent working in commercial video production and the reasons why he moved from Mexico City to Los Angeles. He also talks about his different mentors: Ludwik Margules, Judith Weston, Ernesto Bolio and Thich Nhat Hanh, who have guided him in different ways throughout his life. He talks about his 30-year friendship and collaboration with cinematographer Rodrigo Prieto, and how crucial Prieto’s work has been in the movies they developed together. Iñárritu recounts his experiences working with a number of the most influential names in Mexican cinema: director Alfonso Cuarón, cinematographer Emmanuel “Chivo” Lubezki, production designer Brigitte Broch and sound editor Martin Hernández. Films addressed at length in the interview include 21 Grams (2003), Babel (2006), Biutiful (2010) and Birdman or (The Unexpected Virtue of Ignorance) (2014). He details the process of making the The Revenant (2015) and the different decisions that made the film a success. 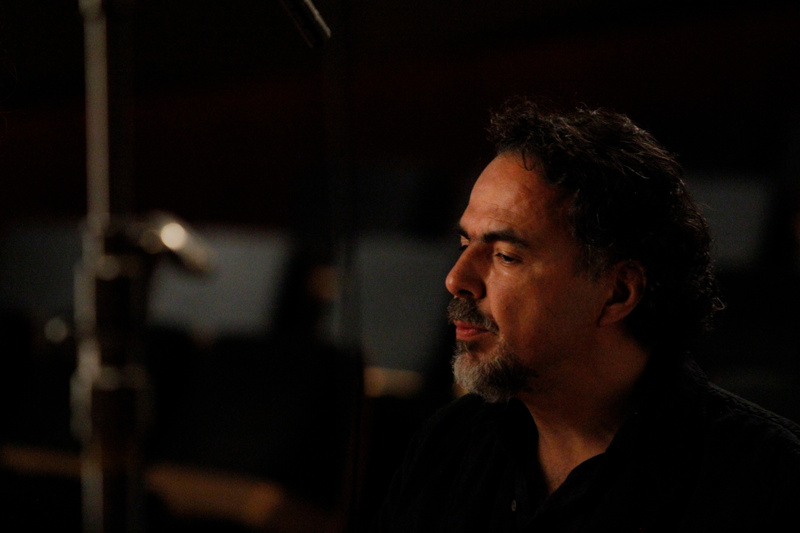 As the first Mexican director to be nominated for an Academy Award (for his work on Babel), Iñárritu shares his thoughts on what it means to be associated with his Mexican nationality and how this has shaped the trajectory of his career. He explains his immersive museum installation CARNE y ARENA, which explores the lives of immigrants and refugees, and how the virtual reality technology of the piece allows the audience to live a fragment of the refugees’ journeys. He concludes the interview by sharing his thoughts on how new technologies are creating a new kind of audience, and how their heightened expectations will become a challenge for future filmmakers.